Studying for a degree online is becoming increasingly common; in fact, it has been estimated that up to one in three students opts to study over the Internet rather than in the classroom. However, making the most of online study time can be a challenge, especially for those who work and/or care for family members during the day, and study at night and during their free time. 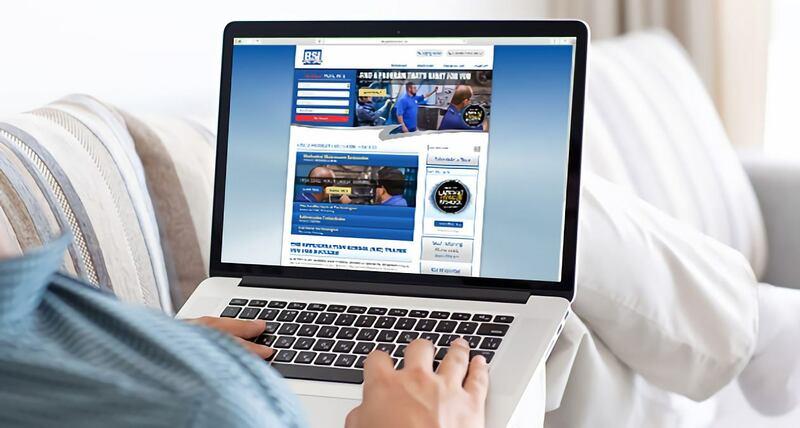 There are many advantages of studying online, which is why our online HVAC training program allows students the option of taking a portion of the course over the Internet instead of in person. While there are also some challenges that online HVAC students will need to be prepared to take on, these can be overcome by putting the tips and guidelines outlined below into practice. As the old saying goes, “Failing to plan means planning to fail.” The very first step when taking any class, including an online course, is to look over the coursework carefully and take note of any and all deadlines. A student can then mark all of their deadlines on a calendar and/or phone app to ensure they are not forgotten. Some apps even let you set reminders! HVAC classes should provide a syllabus, in which course material is presented in a timeline. This is to allow plenty of time to plan accordingly, meaning there should be no need for last minute cramming. Once you know the deadlines in advance, you can divide the study material into segments and then set time aside to work on pre-determined portions. While it is possible to connect to the Internet from just about anywhere, it’s important to choose your study location with care. A noisy, distracting study location can make it harder to keep your focus on your work. Ideally, a student should study in someplace like a home office, at a quiet bedroom desk, or in a calm café with a good Internet connection. It is also important to create the right study conditions in the location of your choice. Your phone should be turned off or put on silent during study hours. A student will also want to avoid distractions like checking email and social media pages during study hours, as these (or anything else that may interest you) has the potential to pull you away from your work. Many students are hesitant to ask for help when they need it. The results can be disastrous, as students who fail to get needed assistance may fall behind in their coursework and wind up dropping out. Thankfully, simply speaking up and getting assistance with coursework can help solve this problem. Those who are studying online can communicate with a professor via email, chat or phone. Course instructors can answer questions, and in some cases adjust course deadlines and/or provide additional credit when warranted. A person studying HVAC online should never assume that dropping out of a course is the only option, as there is often more than one way to remedy what may initially seem like an unsolvable problem. An exam for HVAC certification can be quite challenging, so it is important to take plenty of time to prepare for it. This can be done by taking various practice tests to assess one’s knowledge and weak areas, or by getting tutoring assistance from someone who has taken the test before and performed well on it. The more hands-on practice one has, the more likely he or she is to remember the course material. Because online courses can be taken at anytime of the day or night, it is easier for a person who is studying HVAC to find apprenticeship or intern HVAC job opportunities. While an apprenticeship cannot take the place of an HVAC study course, it is a great supplement to it.